4th of July is THIS upcoming Wednesday, are you ready for barbeque and fireworks?! Here at BellaBoo, we LOVE spending this holiday with friends and family, cooking out on the grill and attending patriotic events around town with the kiddos. If you're unsure how to celebrate with the family, keep reading for some fun ideas that both the kids AND parents will love! Go classic with a good ol' fashioned family cookout! Grill some hotdogs and hamburgers (or veggie burgers) and play some yard games with the kids. Here is an article for some quick and easy recipes you can whip up for your family or friends. Grab some sparklers and other fireworks for a DIY 4th of July celebration at your own home. There will be firework displays in Lampeter Strasburg, Lititz, Lancaster, Ephrata, New Holland and Mountville for viewing as well! Visit the historic Musser Park in Lancaster City for their annual Fourth of July celebration. This is a free event with a ton of exciting games for the kids to enjoy. Don't forget to pick up a Kid Klean Kanteen Sport to make sure the kids are well hydrated while also reducing your plastic usage! We hope you have a ton of fun this 4th of July! Head on into BellaBoo this weekend for MASSIVE savings. We are now offering 25-40% off all clothing & PJ's, 25% off all sandals & flip flops, 40% off all swimwear and 25% off sand toys! Grab some 4th of July essentials before Wednesday. 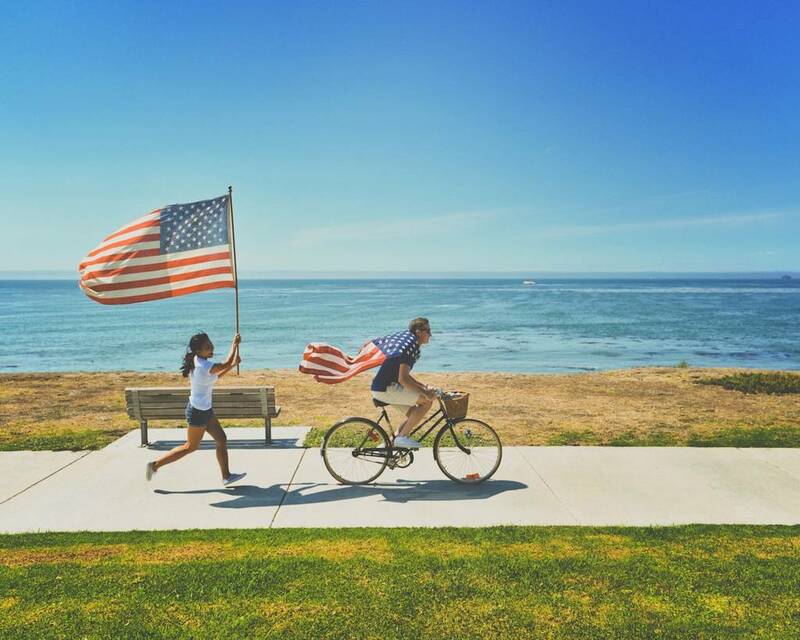 Happy Independence Day from your friends at BellaBoo.